I can plan, design, develop, test and launch your custom website to meet your company’s unique needs, and provide your marketing team with the tools to manage your online presence effectively. Using a very robust open-source CMS solution, WordPress is very versatile so your website can grow with your business. Making updates to your web pages as easy as managing your email or posting on Facebook. Your business has a story to tell that is relevant and timely to your target audience. I develop a public relations strategy that gets your story in front of the right media and reaches the right market. Most of my press release are picked up by over 200 media sites. A professional press release also helps your search ranking in Google and other search engines. 2X Sales can assist you in developing a custom strategic marketing campaign that leverages social media solutions on platforms such as Twitter, Facebook, YouTube, blogs and other social sites to achieve your business goals, including consultation, training, set-up and social media strategies.Packages include online promotion and monthly maintenance of the social sites of your choice and budget. All 2X Sales Designs include on-page SEO (Search Engine Optimization). Basic on-page SEO includes keywords, permalinks, title tags, heading tags, images, and of course lots of great content. Off-page SEO refers to techniques that can be used to improve the website's ranking in search engine results page (SERPs). Advanced on-page SEO includes: … … … Curious? Contact me for a FREE 1 Hour Consultation. Jerry Thrasher, WordPress web designer, and master digital strategist is now offering low-cost alternatives that increase web traffic and conversions. 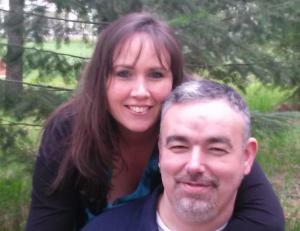 “I have a history of helping small businesses double (2X) their sales. I specialize in WordPress Web Design, Consulting, Training, SEO, and Digital Media. I believe my clients should be able to do as much as they have the time, resources, or desire to do on their own. I offer web set-up, training, and support. Full-service packages are also available including; web design, hosting, SEO, social media, and many other digital media options.” Contact Jerry for a Free Consultation! 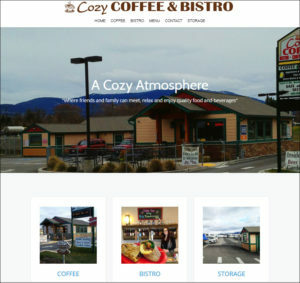 Another beautiful and practical design is cozycoffeebistro.com. This site is built using a parallax theme on WordPress CMS.